…it gets its very own holiday! Yes, the Wireless Broadband Alliance’s World WiFi Day will officially be added to the calendar this year – and the date is June 20th, 2016. Here at Fon, we are thrilled about the new holiday. 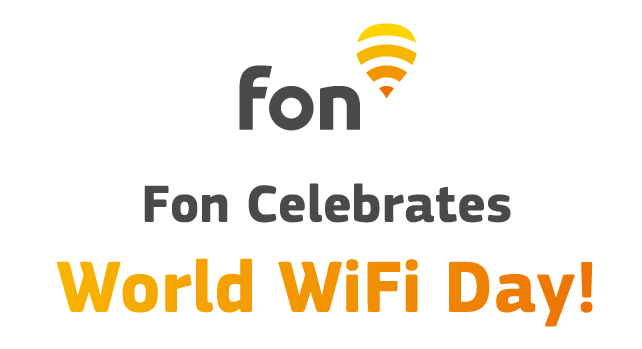 After all, Fon is the world’s largest WiFi network, with over 20 million hotspots in 17 different countries. Our service allows users to access WiFi no matter where they are. You can get online in your own home, contract-free, by connecting to a Fon hotspot.  You can save on mobile data costs by using Fon while on the go in your city. And, you can even stay connected while you are travelling abroad, without worrying about roaming fees. Naturally, Fon will be participating in the celebration. How? With free WiFi of course! That’s right. Together with participating partners, Fon will be granting free WiFi access for a limited time to thousands of our hotspots in 6 different countries. 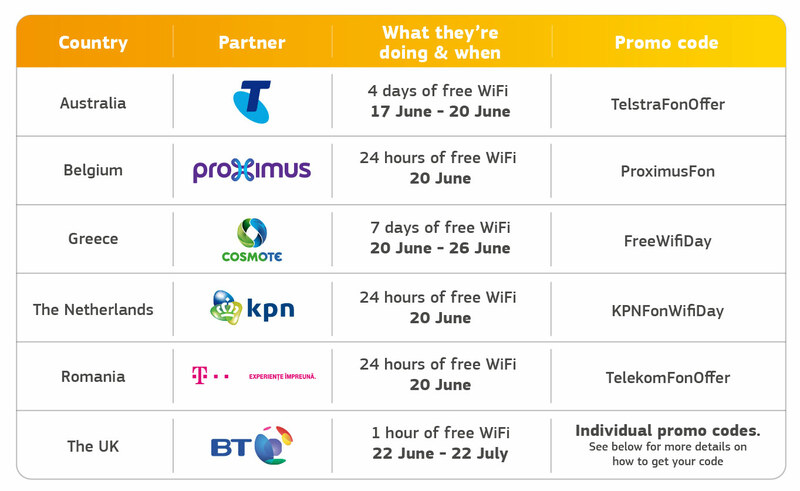 If you live or happen to be travelling in one of these countries during the celebration period, you can get connected to WiFi for free by using special promo codes. Keep in mind, the codes are only valid in their corresponding country. Customers in the UK can receive their promo code from BT by clicking here. Once the code has been redeemed, you do not need to enter it in again. You will, however, need to login again every time you connect to a new hotspot.